79 years, 3 months, 12 days old age. 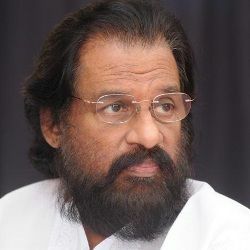 K. J. Yesudas will turn 80 on 10 January, 2020. Only 8 months, 18 days, 9 hours, 56 minutes has left for his next birthday. K. J. Yesudas has celebrated the total number of 79 birthdays till date. See the analysis by days count and bar graph. K. J. Yesudas was born on 10-01-1940 in Fort Kochi in the state of Kerala, India. He is an Indian Musician, Playback Singer, Singer, Composer & Film Actor who best known for his work in Malayalam, Hindi, Tamil, Kannada and Telugu films. Born as Kattassery Joseph Yesudas, KJ Yesudas is a musician and playback singer from India. He has recorded over 100,000 songs in several languages including Malayalam, Hindi, Tamil, and Kannada as well as Latin, Russian, and Arabic in a career that spans over five decades. His father was his first Music teacher. He studied music at RLV Music Academy and later joined SwathiThirunal College of Music. His first popular song was ‘JaathiBhedamMathaDwesham’, recorded in 1961. He gained immense popularity with the song ‘Attention Penne Attention’. 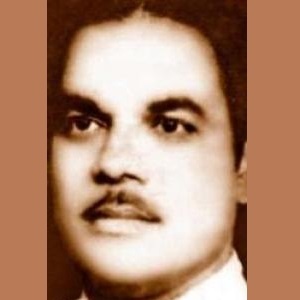 He gave hit songs for the composers like G Devarajan, MS Baburaj in Malayalam industry. He also did his first Tamil recording for S Balachander. Yesudas was invited by Soviet Union Government for concerts, where he also sang a Russian song over Radio Kazakhstan. He was appointed as the Chief of Kerala SangeethaNataka Academy in 1971, making him the youngest to occupy the position. His first Bollywood song was recorded for ‘Jai Jawan Jai Kisan’ in 1971. His greatest Bollywood hits came with the movie ‘Chitchor’ in 1976. He was awarded an Honorary Award for Outstanding Achievements in Music and Peace by UNESCO in 1999. He has been a cultural ambassador for Carnatic music as he sings Latin and Arabic songs in Carnatic style. He was awarded Padma Shri award in 1977, and Padma Bhushan in 2002, and Padma Vibhushan in 2017 by Government of India. He is fondly called ‘GanaGandharvan’.He has bagged the National Award for Best Male Playback Singer for seven times. He has received the Filmfare Award five times and State Film Award for Best Playback Singer for about 43 times. He recorded 16 film songs of four South Indian Languages on the same day at a studio in Chennai. He was born to an Indian Musician Kattassery Augustine Joseph & Elizabeth Joseph. He has four younger siblings include a sister and three brothers. He is married to Prabha Yesudas and together they have three sons named Vinod Yesudas, Vijay Yesudas and Vishal Yesudas. Vijay Yesudas is a Playback Singer & Film Actor. He gave his voice to Hindi film 'Jai Jawan Jai Kisan'. He had his own heroes among the musicians too. Mohammed Rafi, Chembai Vaidyanatha Bhagavatar and Balamurali Krishna are the ones he admires the most. He was bestowed with the Honorary award for "Outstanding Achievements in Music and Peace" by UNESCO. He also owns estates in Fort Lauderdale, Florida, USA and Flower Mound, TX, USA for personal and business reasons.